Sell your ROXY MUSIC items on eBay ! In the early - and mid-Seventies ROXY MUSIC made some very interesting prog rock albums while their members were more dressed like a glam rock band and singer Bryan Ferry looked and acted almost beyond the archetypical prog rock singer! When young genius Eddie Jobson joined ROXYT MUSIC he had a modest role on the studio-albums. But on stage his impact was much bigger, this is perfectly registered on the live-LP "Viva!" from 1976. On the first track "Out Of The Blue" he delivers a stunning electric violin solo, evoking the skills and emotion of the Rumanian gypsies. In the other songs he embellishes the music with very tasteful and varied keyboard play. Along Eddie Jobson's important role, ROXY MUSIC sounds on "Viva!" 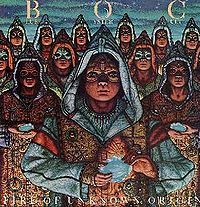 impressive and exciting thanks to skill full and creative musicians like Andrew MacKay (powerful sax and oboe), Phil Manzanera (fiery and sensitive electric guitar) and John Wetton his propulsive bass play. The climates are varied and alternating: sultry in "The Bogus Man", a lot of tension in "In Every Dream Home A Heartache" (explosive conclusion) and cheerful in "Do The Strand". The press used to call this music 'art-rock' but in my opinion ROXY MUSIC made a very progressive blend of rock, blues, symphonic and pop during those days, quite sensational and unique! This is one of the best remastered live albums I've ever listened to and my introduction to the world of Roxy Music. The sound recording is extremely clear, no many live albums are so well recorded! And so, it's easy for me to say that is an exciting record, which captures all the emotions people should have felt listening to such a band's shows during the half of the 70s. Here you can hear also the great contribution provided by the virtuousisms of Eddie Jobson, as a modern Paganini on electric violin. Jobson demonstrates himself also as an excellent keyboard player. After these years with Roxy Music he'll show all his abilities in the Jethro Tull's Slipstream show! I like the deep vocals of Brian Ferry, sophisticated, BAROQUE and powerful at the same time. Electric guitar, drums and bass are all captivating and nervous but never exaggerated. My favourite numbers here are the opener Out of the Blue, Pyjamarama, Both Ends Burning and the long If there is Something (10,37 mns). Surely a live record it's right and proper to recommend to all prog-lovers.I was right to follow those suggestions too! Viva! put to rest my worries over whether Roxy's music would play out well on stage. Being but a lad of tender years when the first Roxy rolled around, I never had the chance to hear them live, and obviously I missed something. Cobbled together from shows in '73, '74 and '75 (all of 'em English), Viva! Roxy Music is something of a "best of" live album that showcases the band at their full seminal strength for versions of "The Bogus Man," "If There Is Something" and "Do The Strand." Eno was out by this time, but Eddie Jobson doesn't miss a beat replacing his cacophonous clamor with eerie electric violins and synthesizers. Granted, I'm partial to Roxy's earliest work; it was more ambitious sonically, and I was delighted to find the band just as ambitious on stage. Digitally remastered in 1989, Viva! sparkles on ceedee, with minimal ambient noise and all the portentous stillness intact (maybe the crowd didn't know what to make of a song like "Chance Meeting," as it hardly invites the opportunity for a singalong chorus). What Viva! does is reinforce the band's role as sonic explorers, something that seemed a long way removed from the post-Siren world. The lone recent material is "Out of the Blue" (always a pleasure to hear) and a charging version of "Both Ends Burning" that features some nice sax work from Andrew Mackay (and some ill-advised backing vocals from the ladies). Otherwise, this is classic Roxy, an unusual course to take (given that Atlantic had no trouble jettisoning the band's more artistic music on subsequent compilations) but an absolute treat for olde tyme Roxy aficionados. Viva! Roxy Music is one of the more useful, enjoyable live documents to come out of the prog scene, and an excellent encore to Roxy's first five albums. When people think of the best live bands of the seventies they will automatically think of the likes of Yes,Led Zep and Deep Purple.The slightly 'poppier' Roxy Music would not immediately spring to many peoples minds.Perhaps if they were to listen to this they might just change their mind! This album contains very powerfull performances of some of their best songs and captures them before they went full on AOR/POP. 'Both Ends Burning' is a highlight with the band in full on rocking out mode.The playing throughout is tight as can be and the sound is crystal clear.Absolutely faultless IMO. During the 70s ROXY MUSIC was an excellent trend-setting band. Brian Eno left early but singer Brian Ferry developed to an charismatic front man and with his Glam Rock orientation he influenced New Wave. Ferry and the rest of the band are providing a unique music style with some Progressive Rock elements. This album is the best live effort from the band with a representative collection of songs. The recordings are from different concerts between 1973 and 1975. So that's the reason for the fact they played with three different bass players. Rick Wills is also credited on the album but he didn't play at any of the shows. 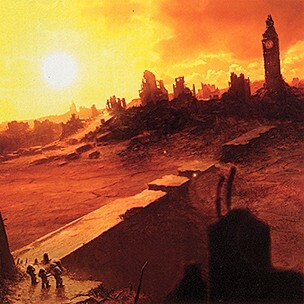 The centerpiece of the album are the two sequenced long tracks - near to Art Rock - both recorded at Newcastle City Hall. If There Is Something starts in a simple country folk mood and then gets into the main melody after some minutes. The amazing oboe playing by Andrew Mackay is obvious. And also Phil Manzanera with an emotional guitar solo and the outstanding violin playing by Edwin Jobson are some highlights. A wonderful song indeed. In Every Dream Home a Heartache follows with a slowtempo psychedelic beginning. The second part is one of John Wetton's top appearances where his bass is rumbling through the rest of the song - excellent. Also from the Newcastle City Hall recordings is The Bogus Man, a crazy song, marked by a funky bass. Interesting are also the uncommon vocals by Brian Ferry and the complaining saxophon. 'Viva! Roxy Music' is a very good live document of their progrelated phase. For those who think Roxy Music are little more than a sophisticated pop band, this will be a surprise, or even a positive shock. 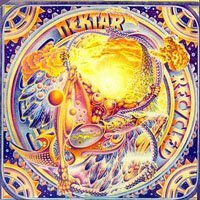 As a matter of fact, this is very probably the band's proggiest release ever, boasting as it does the presence of two legends of Seventies prog such as Eddie Jobson and John Wetton. The quirky, elegantly wasted songs of Roxy's art-rock era are given a sumptuous live treatment by a band with a lineup to die for. Though Bryan Ferry's crooner-on-acid vocals may be an acquired taste for some, here they are at their most expressive, lazy and sensual at times, almost menacing at others. Phil Manzanera, undoubtedly one of the most underrated guitarists around, is a real master of the instrument, fluid and brilliant throughout; while Andy MacKay's sax is essential to the band's sound, though obviously he gets often forgotten in those annoying "best of" polls. Last but not least, long-time Roxy drummer Paul Thompson perfectly complements John Wetton's muscular bass lines . The eight tracks on the album are handpicked among Roxy Music's all-time classics, those the band still perform live to this day - notably the sax-driven "Out of the Blue", which opens the proceedings in style (and what a performance of Jobson on violin! ), and energetic, almost danceable closer "Do the Strand". Absolute standouts, though, are the album's two longest tracks, the ten-minute-plus "If There Is Something" and my personal favourite, the haunting, tense "Every Dream Home a Heartache" (great title too), one of Roxy's undisputed masterpiece, whose climax is nothing short of spectacular, with Ferry's voice sounding almost desperate in its intensity. Though Roxy Music may have gone the easy listening way in their later albums, "Viva!" bears witness to what a fantastic live band they were in their heyday - not to mention to the extremely high quality of their songwriting. Lovers of prog could do much worse than add this powerful live album to their ever-increasing collection. This is the first live effort for Roxy. Since Roxy decided to put a hold on their career as a band after the Siren tour early 1976, their record company (Island) released this live album to fill the gap. It was recorded during three sets of concerts at different moments of their career : Glasgow Apollo (2nd November 1973), Newcastle City Hall (27th / 28th October 1974) and Wembley Empire Pool (17th / 18th October 1975). Therefore it lacks in consistency. I mentioned already in my review for the Tull that I prefer live albums that are recorded form one concert only. It gives a better feeling of a particualr atmosphere. Some tracks are great : "Out Of The Blue", "Pyjamarama", "Both Ends Burning" and "Do The Strand". A special mention to both the opening and the closing numbers of this live album : these renditions are FABULOUS. "Chance Meeting" with its rather weird atmosphere. Since the track comes out their first album, it just had the global flavour of it. When heard in combination with their later repertoire, it sounds a bit "out of the blue". "If There Is Something" expanded to over TEN minutes !, and "In Every Dream Home A Heartache" almost double in lenght versus the studio version. These songs are good ones but I would prefer having other numbers instead (you know like "Virginia", "Editions Of You", "Street Life", "A Song For Europe", "The Thrill of It All", "Prairie Rose", "Whirlwind" and of course "Love Is The Drug"). Instead, we'll get "Bogus Man", which is a bit shorter here than in the studio version. This is fine since it is a quite repetitive number. I guess that the tracklist could have been more impressive but we'll have to live with this one. Originally this album would have been a double one (which I would have rather prefer). There are very few (to none) interaction with the audience. But Bryan was not a specialist of the genre I must say : I have seen him twice with Roxy live and once in his solo tour. 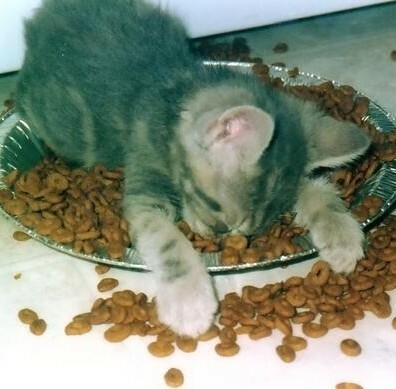 He was not really putting too many efforts in this exercise. The numbers and that's it ! In terms of music, of course, it was very good (the Roxy ones, at least). This album will only reach the twentieth spot in the UK charts (I guess the tracklist is involved in this rather poor ranking). Three stars. The first live Roxy Music album is kind of a mixed bag for fans. At the time it was released the band was breaking up (McKay disowned the LP in interviews). It was recorded in different occasions (hence the use of 4 different bass players!) and the set list is rather ragged. So I guess it could be better, but anyway it is - as far as I know - the only truly live document of RM on stage during their heydey in the 70´s. Even though Eno was gone by the time these concerts were recorded, many fans regard this line up as much as the one who had him on it (critics disagree, but that´s another matter). As a fan, I was glad to hear them live for the first time. The tracklist is really a bit annoying: the songs don´t really flow on the vinyl´s first side: it starts well with Out Of The Blue, a classic track, but then the next three songs (Pyjamarama - The Bogus Man -Chance Meeting) are not the best choice to put one after the other. There were many great songs that could have made it here instead. But side one is saved at last by the sensational version of Both Ends Burning. They never recaptured this incredible, marvelous, blistering, semi-chaotic performance and the almost unbelievable slightly out of tune backing vocals that worked so well, culminating with the synthesizers explosion in the end. This track alone is worth the price you pay for the CD! But there is more. Side two is perfect: only 3 tracks, but what tracks! A definitive, 10 minute version of their best song ever (If There Is Something) with some great violin provided by Eddie Jobson. Amazing! then we have In Every DreamHouse A heartache (another case of a better live than the original studio version, with great climax ending) and a energetic Do The Strand to finish it all. Conclusion: a very fine live album of their classic period that everyone should have. It is not perfect, it has some flaws as I stated above, but it is still excellent. A pity that a double album version with some bonus tracks is not available. Yet, essential for any Roxy Music fan. Highly recommended. In this live setting, Roxy Music almost sound like a progressive rock band. Their musicality and virtuosity come more to the front and just like the great progressive bands from those days; the live albums add essential changes and extensions to the songs. Unlike symphonic prog, Roxy Music mainly sticks to conventional song structures, which is just fine, as they are nicely flavoured with innovative sound effects and richly textured instrumentations. With the kraut-drone Bogus Man and the lyrical epic In Every Dream Home A Heartache, the album lists two great performances that excel the studio counterparts. Viva! Is an excellent entry point into the more challenging period of this highly influential band. Having heard pretty much all the early Roxy Music albums and seeing a few videos from the some of their live performances I decided to give this album a shot. Generally I'm very picky when it comes to live performance and they don't often leave me feeling content. In most cases I either require an almost perfect set-list or an exceptional live performance and neither of these criteria is satisfied by Viva!. There are many repertoire classics missing from this performance like Re-Make/Re-Model, Ladytron, Virginia Plain, Editions of You and The Thrill of It All. What we do get is a set-list with a few interesting surprises. The inclusion of The Bogus Man and In Every Dream Home a Heartache really peaked my interest because it was exciting to hear how these compositions would work without Brian Eno's contribution. The concert opener is the unexpected Out of the Blue which I never considered to be a great song but it actually works slightly better compared to the studio version. The shortened version of The Bogus Man was watered-down for the live setting and missed a lot of the elements that I enjoyed in the 10-minute art rock jam from For Your Pleasure. In Every Dream Home a Heartache, on the other hand, felt almost as good as the original with the audience sound giving it a bit more edge. 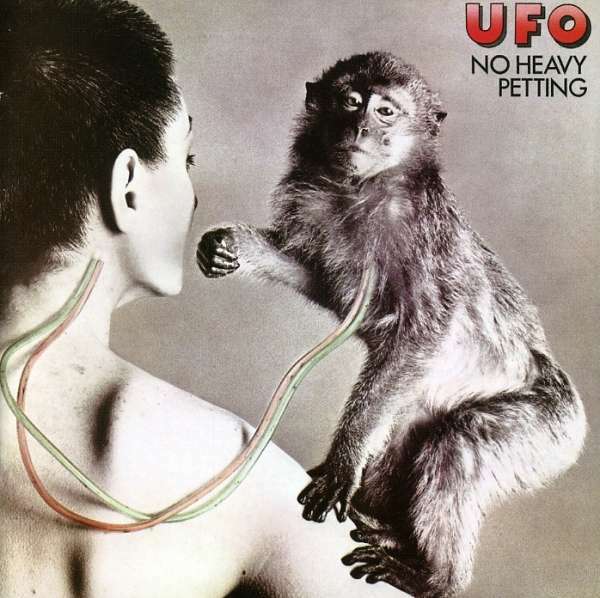 The expanded version of If There Is Something felt quite unnecessary since the atmospheric jam had no real purpose and the result felt plain and a bit dull. The biggest highlight comes to us towards the end where the band performs a flawless version of Do the Strand which almost made me change my mind about the rest of this album experience! I was very surprised to find out the the album was compiled of live performances from three venues over a period of three years (1973-1975) because of the smooth flow which the the performance offered. It was equally interesting to know that John Wetton played the bass on many of the tracks and, together with Eddie Jobson, might even have injected the performances with minor doses of prog! In conclusion it's safe to say that I have mixed feeling towards Viva! so I can't really recommend it to anyone who haven't heard any of the previous Roxy Music albums. Still it's far from fans only type of album. Plain and simply good, but non-essential! Roxy music was a band with some amazing musicians. John Wetton on bass (King Crimson, UK), Eddy Jobson (UK) and Phil Manzanere (Quiet Sun and solo) are all important contributors to our beloved progressive genre. This live album of proto-prog (or related) Roxy Music shows some moments of brilliance of these musicians but is plagued by the glamor sound of some of the songs and the vocals of Brian Ferry. The recording of the live album is bad for 1976, the music sounds blurred and the soloists have a hard time coming through. The sound of Roxy was progged up a bit and at times sound a bit psychedelic and symphonic, but still mainly features pop music clichés. Due to the bad recording it's hard to say how good Roxy played, but I can say I dislike the vocals of Ferry that sound out of pitch and uncontrolled. Some of the songs work quite good. The opening track Out of the Blue has a nice symphonic feel and a great violin solo of Jobson. The Bogus Man benefits from the progged up sound quite a lot. On side two it seems like the band can't keep up with each other. The band plays less accurate and at times even messy. Conclusion. Ok, Roxy ain't my kind of band. Ok, I don't like Ferry. But I finally understand some of the fuss about this band (which I also saw as a very non-prog glamor band). Perhaps a good live album for fans of the band, but the recording is really a let-down. I give it 2.5 stars, but It would have resulted in the three star rating with a better recording. Recommended to fans of the band. 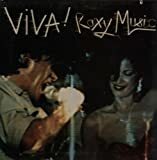 VIVA is a terrific live set from original English art rockers Roxy Music. It captures a young band at the height of their powers, in front of enthusiastic audiences in various British venues. (Released in 1976, the album was actually recorded from 1973 to 1975.) Personnel include the original stalwart core of Bryan Ferry, Phil Manzanera, Andy Mackay and Paul Thompson, plus Eno replacement Eddie Jobson on violin and keyboards. Roxy never really had a permanent bassist, but we get the estimable John Wetton (King Crimson, UK, etc.) on five tracks. Other bass duties are ably fulfilled by session men John Gustafson (who'd play on four Roxy albums) and Sal Maida. VIVA showcases material from the group's first five albums, during their more experimental and rocking heyday, and prior to the later disco and MOR leanings of their FLESH AND BLOOD to AVALON era. There are eight tracks in all, and each one is a winner. Standouts include "Out Of The Blue," where Jobson more than earns his pay on the violin, a blistering, breakneck "Do The Strand" and a sultry, spooky "The Bogus Man," where Manzanera's mesmerizing guitar really howls. Rollicking crowd pleaser "Both Ends Burning" is loads of fun, and should get your blood pumping and feet tapping -- you can dance if you want to. Mackay's sax shines here, and check out those great backing vocals courtesy of the beauteous Sirens! (That must be a Siren smiling and dancing so sexily on the cover photo; no one ever accused Bryan Ferry of surrounding himself with plain women on stage -- or off. Ooh la la!) My favourite number, however, is also the longest, at over ten minutes: "If There Is Something" from the band's self- titled debut, has always been one of my top Roxy songs, and the boys do it magnificently here. There's fabulous lead from Phil, committed vocals from Bryan (the necessary warble in his voice is still there), moody, magnificent keys and violin virtuosity from Edwin, superb sax from Andy, and pounding percussion from Paul. "Lift up your feet and put them on the ground you used to walk upon -- the hills were higher -- when you were young." Outstanding! In closing, this is an excellent live album, and required listening for any fan. Viva Roxy Music! In 1980 I went to a record shop and I saw this live album there. I also saw other ROXY MUSIC albums there, and they had in common the presence in the covers of very glamorous female fashion models and backing singers. But in the back cover of this live album there were listed in the credits two famous names from other Prog Rock bands: John Wetton and Eddie Jobson. At that time I was listening to the band U.K. and both Wetton and Jobson were members of that band, so I became a bit interested in listening to or in buying this live album one day...a thing I that never did. Why? Some bands like ROXY MUSIC are represented very much in their style of music by only looking to the covers of their albums. I never have been a fan of Glam Rock and for me this style of music was more a fad from the seventies, another attempt to do different things musically, but more influenced by sophisticated or excentric looks, very based in the make ups, posings and fashions of those days. For me, Bryan Ferry based his musical career in these sophisticated looks, fashions, poses and lifestyles. And I confirmed all these "suspicions" when finally years later I listened to this band in the radio with songs like "Avalon" and others and I finally watched to them playing on TV, with or without Brian Eno. So, more by their looks and fashions I never have liked artists like Roxy Music, Brian Eno, David Bowie, Duran Duran, Adrian Belew, and other similar artists. It is curious, but sometimes one really can "judge a book by its cover", and if one does not identify (at least in some way) with some lifestyles, one does not like the music of some artists. In the case of Bryan Ferry and Roxy Music I don`t identify myself with their music and looks because they are "artificial" in many ways. After all, Glam Rock was, in my opinion, a very "artificial" fad in music and looks. Not very authentic for my taste. Sorry. Too much posing, in my opinion. Well. I finally listened to this album recently. The songs are not bad. All the musicians are very good. And I think that Ferry as a singer is not a bad singer, but i think that he really does not have a very "great" voice. But he sings with a lot of "theatrical" inlfuences. In fact, I think that most of his merits in the music business were and still are to create a very characteristic and personal style of singing and for composing songs (he is the main composer of the songs in this band). He really is very original in all these things. Maybe all these things made him have success in his musical career. But he is the main "star" in this band. Unfortunatley, despite being very good musicians, Thompson, Manzanera and Mackay never have had the same success on their own without being involved in some way with Ferry or with Roxy Music (a similar thing that happened with the musicians in the band called VAN DER GRAAF GENERATOR with respect to their singer PETER HAMMILL). So, ROXY MUSIC is mainly Ferry and his music and artistic vision augmented by the contributions of very good musicians which really as a whole define the sound of this band. I don`t know what Wetton and Jobson were doing in this band, really. Both are very good musicians to be in this band acting as Ferry`s backing musicians. Maybe they needed temporal jobs and they agreed to play with this band. Both sound very well in this band but their talents sound a bit "diluted", acting more like session musicians, but anyway doing very good jobs. Together some years later they founded U.K., a more Progressive Rock band than ROXY MUSIC. I really could not find very much Progressive Rock elements in this album apart from some very good improvisations by Jobson on his electric violin and keyboards. For the most part, the music in this album in my opínion is Pop Rock and Glam Rock. I don`t consider this band as Prog Rock in style. For collectors and fans only. Post a review of ROXY MUSIC "Viva! Roxy Music"